The Sliabh Liag’s Pilgrim Path is an alternative means of reaching the summit of the world famous cliffs. The walk will give visitors a more intense view of the region around Sliabh Liag. 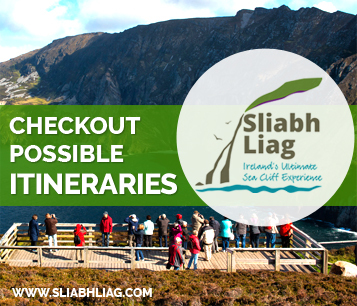 The Sliabh Liag Cliffs are the highest accessible cliffs in Europe so it is advised that visitors have a good head for heights and proper walking equipment. The Sliabh Liag Pilgrim Path is an unmissable stop on the Wild Atlantic Way. Grass Routes Electric Bike Adventures offer the best start points for exploring The Wild Atlantic Way in Co. Donegal. Their cycling routes operate from Termon, Árainn Mhór, Downings and Dunfanaghy, Co. Donegal. 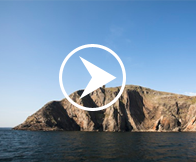 Explore the most scenic locations in North West around Sliabh Liag. Choose from one of their suggested self-guided cycle tours. Then just hire a Bike options include; 3 hour, half day, full day and weekly bike hire. Escape on a journey through the backroads of Donegal by bicycle. Ireland by Bike offers a range of unique bike tours throughout Donegal. Extend the adventure from the Sliabh Liag to the roads that surround cliffs. Choose from a variety of tour packages that are made to suit you. Breathe in the fresh salty air and cycle through some on the country’s finest scenic landscapes.